A El-Mehalawy, S Hassanin, N Hassanin, S Zaki. Induction Of Resistance And Biocontrol Of Rhizoctonia In Cotton Against Damping-off Disease By Rhizosphere Yeasts And Fungi. The Internet Journal of Microbiology. 2006 Volume 3 Number 2.
senticosum, Penicillium herquer, Trichoderma viride, Hansenula arabitolgenes, Candida incommunis and Candida steatolytica, respectively. The use of a mixture of fungal and yeast species led to an increase in inhibition of the pathogen, an increase in induction of resistance of the cotton plant and an increase in growth measurements of the cotton plant than each of them alone. Candida incommunis has the ability of solubilizing phosphate and has the ability for production of indolacetic acid (IAA) and siderophores. The three fungal species produce 4, 6 and 5 antifungal compounds ,respectively. On the other hand, the first two yeast fungi species produce 5 antifungal compounds, while the third one produces only four. R. solani, a soil-borne plant pathogen infecst cotton plants and causes a loss in the yield. The aim of the present investigation is to study the ability of some fungal and yeast species for induction of resistance in a cotton plant and studying the role of some soil amendments (e.g. fishmeal), in addition to the antagonists, in reducing both disease incidence and severity and their effect on plant growth. Interactions between biocontrol mold, yeast fungi, and fungal plant pathogens continue to be the focus of a large number of studies. The fungal biocontrol agents that have been evaluated for their ability to reduce vegetable crops are Trichoderma spp. and Gliocladium virens [36,40], in addition to several other organisms, including Chaetomium globosum Kunze: Fr. Coniothyrium minitans  Sporidesmium sclerotivorum . These agents have been evaluated primarily against soil-borne disease and were reported to reduce the development of diseases caused by pathogens such as Pythium spp. , Rhizoctonia solani . Many types of organic matter have been used for soil amendments. These include seaweed extracts, fishmeal, chitinous materials as soil cakes . Induced resistance defined as the process of active resistance dependent on the host plant's physical or chemical barriers activated by biotic or abiotic agents . The mechanisms by which yeast fungi are reported to have reduced mildew development included mycoparasitism of pathogen structures by Amplelomyces quisqualis , secretion of antibiotics, such as heptadecanoic, and methylheptadecanoic aids by Sporothrix  and the production of lytic enzymes such as β-1,3-glucanases by Tilletiopsis sp. . In addition, competition for nutrients was postulated to have reduced infection by foliar pathogens such as Botrytis cinerea . Ghisalberti and Sivasithamparam  studied the mechanisms by which Trichoderma isolates control pathogenic population in the rhizosphere, and they indicated that the antagonistic process relies on the production of antibiotics and/ or hydrolytic enzymes  associated with possible competition for nutrients in the rhizosphere . All the three fungal antagonists, Trichoderma viride, T. harzianum and Gliocladium virens significantly inhibited the mycelial growth and sclerotial production of Thanatephorus cucumeris (Rhizocontia solani). Among the three, G. virens was more effective. Complete mycelial inhibition and 92% inhibition of sclerotial formation were recorded and 4:1 ratio of G. virens and T. cucumeris . Hanson  pointed out that cotton plants grown from seed treated with two different strains of T. virens had significantly less severe symptoms after stem inoculation with Verticillium dahliae than did controls not treated with T. virens. The reduction in symptoms indicates that T. virens induces resistance in the host at a distance from where the fungus is established ( the germinating seed ) and that seed treatment with T. virens can provide some long-term protection of cotton plants from Verticillium wilt. El-Mehalawy  found that the two species of rhizosphere yeast fungi: Saccharomyces unispora and Candida steatolytica have antagonistic and inhibitory effects on the growth of the fungal pathogen Fusarium oxysporum. Addition of these two species to the soil seeded with kidney bean and infested with the pathogen increased the percentage of control plants. This was carried out through the process of antibiosis (secretion of antifungal compounds). Clay soil was collected from a field cultivated with a cotton plant from Shebeen el-Kanater, Kalubbia governorate, Egypt. The clay soil was used for cultivation of the cotton plant in the greenhouse and was divided into two categories; the first one was amended with fishmeal and the second one was left non-amended. The rhizosphere soil samples were collected from both amended and non-amended soils. Cotton seedlings one month-old exhibiting damping-off disease symptoms were collected from soil infested with Rhizoctonia solani. Isolation was made according to Carling et al., . Colony morphology of R. solani was assessed on potato dextrose agar (PDA), and Sabourod dextrose agar (SDA) at 28 ± 2°C in the dark for 2 days. Identification of the pathogen isolate was based on morphological characteristics of the cultures growing on the two media [41,43]. Sterilized Millet (Panicum miliceum L.) was inoculated with agar plugs from the actively growing margin of Rhizoctonia colony and incubated at 28± 2°C in the dark for 6 days. Sterilized uninoculated millet seeds were used as control . Four sets of pots were used. The first set contains the pathogen and soil amended with fishmeal, the second set contains the pathogen and non-amended soil, the third set contains non-amended soil without the pathogen (control), while the last set contains soil amended with fishmeal without the pathogen (control). 10 seeds were sown in each pot at 3 cm depth, reduced to 5 seedlings per pot after complete emergence. Each treatment was replicated 6 times with 5 plants/ replicate. The pots were watered every other day . Two sets of pots were prepared, each of 10 pots. The pots of the first set contain amended soil, the pots of the second set contain non-amended soil. 10 seeds of cotton were sown at 3 cm depth in each pot. The pots were watered every other day and after 3-4 weeks, the root systems were cut and washed . The microbial activity of the freshly sampled rhizosphere (amended and non-amended) soils was measured by fluorescein diacetate hydrolysis by the method of Schnürer and Rosswell, . Fungi of cotton rhizosphere soils (amended and non-amended) were isolated using the soil dilution plate method of Johnson and Curl  on (i) (PDA) and (ii) (SDA). Yeasts of cotton rhizosphere soils (amended and non-amended) were isolated using the soil dilution plate method of Johnson and Curl  on (I) Peptone-Yeast Malt Agar (PYM) and (ii) Nutrient Agar (NA). Mold fungi isolates were examined for their ability to produce inhibitory compounds active against R. solani using the dual culture agar method Henis and Inbar, . Yeast fungi isolates were examined for their ability to produce inhibitory compounds active against R. solani using the dual culture agar method Henis and Inbar, . fungal isolates were identified to the genus and species levels using the following references [41,43]. Yeast isolates were identified to the genus and species levels using the following references [5,6,7,8,9,10,34,38,48,51]. The inoculum of each mold and yeast fungi was prepared by placing 50 g moist wheat bran into 500 ml conical flasks, autoclaved at 121 °C for 30 min. on three successive days as described by Roiger and Jeffers . The mixture was inoculated aseptically with a suspension (25 ml) of spores and cell, in 10% tween 80 and incubated at 28 ± 2 °C in the dark for two weeks. The flasks were shaken to ensure uniformity of each microorganism growth. Cotton seedlings were harvested 4 weeks after seedling emergence. The whole plants were carefully removed and washed to remove any soil particles from the shoot and root systems. Growth criteria measures were: length of root, height of shoot, fresh weight of root, fresh weight of shoot, dry weight of root and dry weight of shoot. A random complete block design was used and analysis of varience was carried out using Superanova (Abacus Concepts, Inc., Berkeley, CA, USA) to evaluate the effect of the antagonists on the development and growth of cotton plant in the greenhouse trials. The medium used to screen phosphate solubilization consists of soil extract 75 ml with 1% glucose and 2% agar, dispensed in 300 ml amounts in 500 ml Erlenmeyer flasks. After sterilization, the medium was cooled to 45°C and 15 ml of sterile 10% K2HPO4 and 30 ml sterile 10% CaCl2 were added. Two ml of sterile actidione solution (40 µg/ml) were also added to each flask and the reaction adjusted aseptically with sterile N/L NaOH at a pH 7.0 The plates were inoculated with the rhizosphere mold and yeast fungi and incubated at 28 °C for 5 days. The organisms forming clarification halos were considered phosphate solubilizers . The medium used to test for production of siderophores consisted of 8-hydroxyquinoline (50 mg/L) was added to tryptic Soy Agar (TSA) (10%). Organisms growing on this medium were considered positive for siderophores production . A modified method (Bric et al., 1991) was used to screen indolacetic acid (IAA) and/or IAA analog producers. TSA ((10%) amended with 5 mM 1-tryptophane was overlaid with an 82-mm diameter nitrocellulose membrane disk. Agar plates were inoculated with tested isolated and incubated at 28 °C for 3 days. The membranes were overlaid on Whatman No.2 filter paper saturated with Salkowski reagent (1.0 ml of 0.5 M FeCl3 + 50 ml 35% HclO4) . The selected mold and yeast fungi were cultivated on Hussein's fishmeal extract agar (HFME) broth , culture broth was then filtered and extracted with a mixture of chloroform- ethylacetate (1:1 v/v). Complete extraction was achieved when the metabolism solution was extracted with 30% of its own volume of chloroform-ethylacetate mixture. The organic layer containing the antifungal compound was filtered and evaporated at 34 °C under vacuum till dryness. The residue was dissolved in the least amount of chloroform (3 ml) . The active components in the culture filtrates of the selected mold and yeast fungi were studied by means of descending paper chromatography; the solvent system was a mixture of 1-butanol, pyridine and water( 6:4:3 v/v). After development, the paper stripes (Whatman No. 1) were air dried and placed in front of a stripe of R. solani growing for three days on PDA. After incubation, the purified antifungal components were detected according to their Rf values . 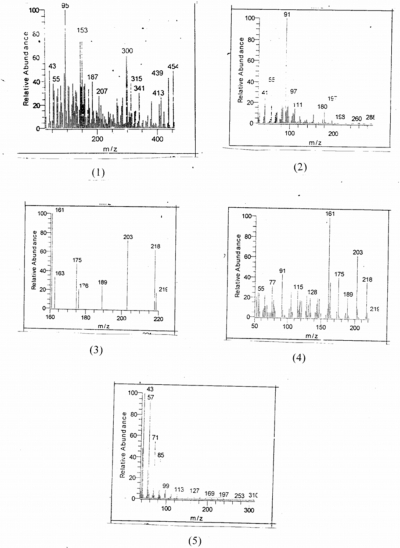 This experiment was carried out according to El-Mehalawy , using mass spectroscopy. Varian gas chromatography coupled with a mass selective detector. Finningan mat SSQ 700 and equipped with Chem-Station soft ware and NIST spectral data was used with DB-5 fused silica capillary column (30 x 0.25 um i.d., 0.25 um film thickness). The chromatographic conditions were as follows: column temperature 60 °C (30 min. ), raised from 60 to 260 °C (5 °C/min.) and maintained at 260 for 10 min., interface, 260 °C; injector temperature 250 °C, ionization energy 70 ev; mass range 50- 750; volume injected 1 UL. This experiment was performed at the Mass Spectroscopy Unit, Central Scientific Services Laboratory at the National Research Center, Cairo. It is shown from Table (1) that the microbial activity of soil amended with fishmeal is higher than that of non-amended soil. Table (2) illustrate that the percentage of disease in infested non-amended soil is higher than that in non-infested soil either amended or non-amended. The addition of fishmeal led to a remarkable reduction in the percentage of disease. Fungal isolates No. 5, 18 and 19 were found to have the remarkable antagonistic activities against R. solani than the other isolates , on the other hand, yeast isolates No. 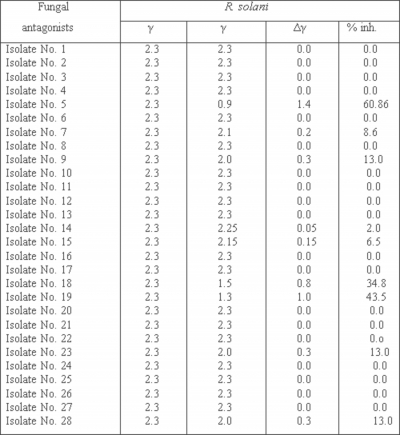 9, 13 and 20 have the most inhibitory activities against R. solani than the other isolates (Tables 3 & 4). The three strongest antagonistic rhizosphere fungi were identified to the genus and species levels as (5) Trichoderma viride, (18) Penicillium herquer and (19) as Eupenicillium senticosum. The selected three yeast isolates showing the greater inhibitory and antagonistic activity were identified to the genus and species levels .as (9) Hansenula arabitolgenes, (13) Candida incommunis and (20) Candida steatolytica. Data in Table (5) show that the presence of the pathogen led a reduction in the percentage of seed germination compared to the untreated soil (control), which accordingly led to an increase in the percentage of the diseased plants. On the other hand, the addition of fishmeal to the soil induced the resistance of cotton to R. solani and affected the behavior of the selected antagonistic fungal and yeast species compared to the non-amended soil. It is also clear from the results that, the addition of the fungal mixture or the yeast mixture to the soil was found to be most effective against the pathogen and in induction of resistance in cotton plant than each of the three fungal or the three yeast species alone. 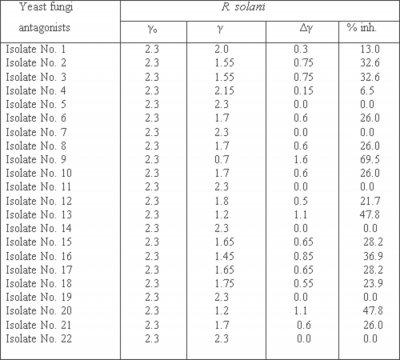 Tables (6 & 7) show that fungi and yeasts increased the growth measurements compared to the control and each of their mixtures significantly increased all cotton growth measurements length of root, height of shoot, fry weight of root, dry weight of shoot, fresh weight of root and fresh weight of shoot) compared with each of them alone. Data in Table (8) show that C. incommunis was characterized by its ability for production of IAA and siderophores and its ability for phosphate solubilization. T. viride and C. steatolytica were characterized by their ability for siderophore production and phosphate solubilization, E. senticosum was characterized by its ability for IAA production and phosphate solubilization, while P. herquer was characterized by its ability for siderophore production only. 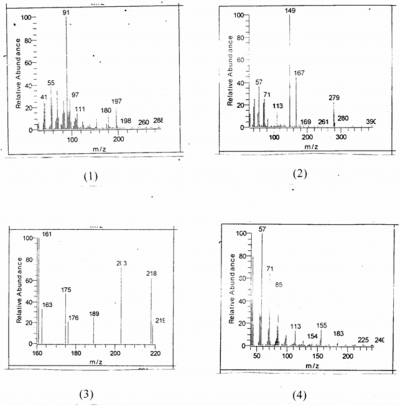 The active components were detected, using paper chromatography, by the inhibition zones around their spots and were determined by their Rf values as shown in Table (9). From the table it is shown that four active components were detected in the culture filtrate of E. senticosum, five active components were detected in the culture filtrate of T. viride, while six active components were detected in the culture filtrate of P. herquer. 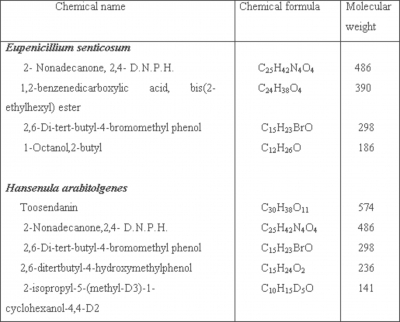 It is revealed also from the table that five active components were detected in the culture filtrates of both H. arabitolgenes and C. incommunis, while four active components were detected in the culture filtrate of C. steatolytica All these active components were found to be effective against R. solani. The active component of Rf 0.25 was detected in the culture filtrates of 5 of the six tested fungal and yeast species, and the active component of Rf 0.47 was detected in the culture filtrates of 4 of the six tested fungal and yeast species. 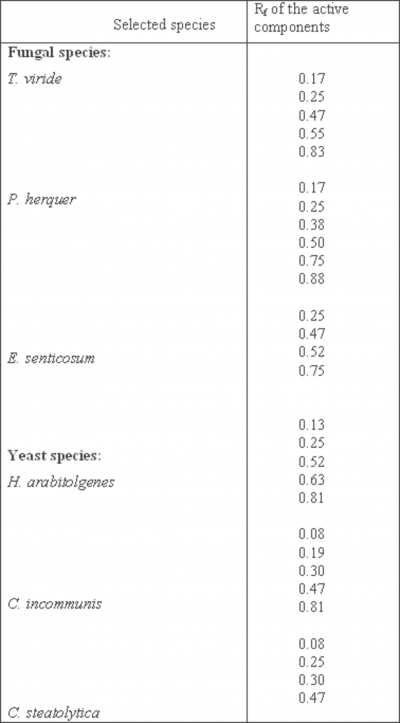 Data in Table (10) show the chemical name, chemical formula and molecular weights of the active components detected in the culture filtrates of both H. arabitolgenes and E. senticosum. It was well known that the compound of high molecular weight has low Rf value and vice versa. Therefore, the active components were arranged descendingly according to their Rf values and molecular weights. Fig (1 & 2 ) showed the chemical structure of the active components detected in the culture filtrates of E. senticosum and H. arabitolgenes. Fishmeal used as a soil amendment increases the microbial activity, while its absence led to a reduction in the microbial activity. This microbial activity causes a depletion in essential nutrients for the survival and multiplication of the pathogen, thus preventing infecting of the host. This finding is in accordance with that reported by Chen et al., . The presence of the pathogen (R. solani) in the soil without amendment (fishmeal) led to a remarkable increase in the percentage of disease compared to the non-infested soil either with or without amendment. This may be due to the competitive saprophytic growth of R. solani, and in natural ecosystems the pathogen inoculum is generally aggregated so that subsequent spread can occur under appropriate conditions. This explanation agrees with that reported by Lewis et al., . In a screening program aimed at the discovery of antifungal compounds produced by the selected fungal and yeast species, these species were found to produce antifungal compounds with high inhibitory effect against R. solani. This may be due to that these species are capable, in liquid cultures at least, of producing an array of metabolites which have antifungal activity , or may be due to the production of toxins (killer toxins) by yeast species  or the production of water soluble antifungals which may act with sensitive cells involving the cellular membrane leading to destruction of its permeability . The reduction in the percentage of seed germination in the presence of R. solani may be due to the role of the pathogen which acts as a causal agent of damping-off. The pathogen seems to be pathogenic under certain environmental conditions such as soil temperature or pH, and/or it may play a secondary role in disease development. It is also possible that R. solani is able to overcome defense mechanisms of cotton. These findings are in agreement with that reported by Singh and Siradhana . And Begum et al. . The use of rhizosphere fungal and yeast species, each group in combination, increased the percentage of inhibition of growth of R. solani. This may be due to the lack of nutrition for the growth of the pathogen and production of certain inhibitory chemicals by antagonists in culture. This finding runs parallel with that reported by Dubey . The reduced incidence of damping-off disease caused by the addition of rhizosphere fungal and yeast species either separately or in combination may be due to the incubation period in the soil which may aid in the establishment of the introduced microorganisms and enables them to multiply in the soil or to activate the mechanism(s) of antagonism. This explanation agrees with that reported by Kleifield & Chet . From the possible mechanisms for increasing plant growth, the production of secondary metabolites such as antibiotics, cyanide and hormone-like substances, the production of siderophores, plant growth regulators and phosphate solubilzation . Cotton rhizosphere harbour a variety of microorganisms, the interaction of them with each other and with the plant influence plant growth in ways that may be beneficial, neutral or detrimental . Three fungal and three yeast species were grown under the optimum cultural conditions on broth media for the production of antifungal compounds. It was found that one fungal species produce four active components, the second produce five active components, while the third produce six active components. Two yeast species produce five active components, while one produce four active components. This may be due to that cell metabolism of each species under conditions of nutritional excess is directed towards the generation of cell mass rather than the production of secondary metabolites and when depletion of key nutrients occurs, it shifts the cell cycle to the stationary phase and signals the transition from primary to secondary metabolism in which the active components are produced. This finding agrees with that reported by Abbaral et al., . Table 1: Measurement of microbial activity in amended and non-amended soils. Table 2: Pathogenicity of . Table 5: Effect of fungal and yeast species on the germination of cotton seeds using amended and non-amended soil. 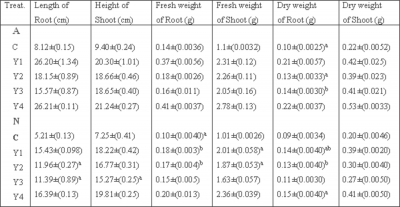 Table 6: Effect of the three fungal species and their mixture on the growth measurements of cotton plant grown in amended and non-amended soil. A: amended soil. N: non-amended soil. C: Untreated (control). F1: E. semticosum. F2: P. herquer. F3: T. viride. F4; Mixture. The values with the same letter within a column are not significantly (P>0.05) different according to Fisher's protected LSD test. Results are means of 10 replicates for each treatment. The values in parentheses are the standard error of the mean. A: amended soil. N: nom-amended soil. C: Untreated (control). Y1: C. incommunis. Y2: C. steatolytica. Y3: H. arabitolgenes. Y4: Mixture. Values with the same letter within a column are not significantly (p>0.05) different according to Fisher's protected LSD test. Results are means of 10 replicates for each treatment. The values in parentheses are the standard error of the mean. Table 8: Production of IAA and Siderophores and Phosphate Solubilization by rhizosphere fungal and yeast species. 1. Abbaral, D.; Maise, W. and Greenstein, M. (1999). Biosynthesis of pyrroimycin by Streptomyces rugosporus LL. 42 D005. Characterization of nutrient requirement. J. Antibiot. 52: 117-126. 2. Adams, P.B. (1990). The potential of mycoparasites for biological control of plant diseases. Ann. Rev. Phytopathol. 28: 59-72. 3. Adams, P.B. and Ayers, W.A. (1982). Biological control of Sclerotinia lettuce drop in the filed by Sporidesmium sclerotivorum. Phytopathol. 72: 485-488. 4. Alexander, D.B. and Zuberer, D.A. (1991). Use of chromweazurol S reagents to evaluate siderophore production by rhizosphere bacteria. Biol. Fertil. Soils 12: 39-45. 5. Arex, J.A. Von (1981). Systematic of conidial yeasts, pp. 85-96 (in) Biology of conidial fungi. Vol. 1 (Eds) T.T. Cole and B. Kendrick.Academic Press, New York. 6. Arex, J.A. Von; Rodrigues de Miranda, L.; Smith, M.T. and Yarrow, D. (1977).The genera of yeasts and the yeast-like fungi. Studies in Mycology 14. Central bureau voor Schimmel Cultures, Baarn. 7. Barnett, J.A. (1966(. Biochemical interpretation of some taxonomic differences between yeasts. Nature 210: 565-567. 9. Barnett, J.A. ; Payne, R.W. and Yarrow, D.Y. (1990).Yeasts: Characterization and Identification, 2nd Edn. Cambridge University Press, Cambridge, United Kingdom. 10. Barnett, J.A. ; Payne, R.W. and Yarrow, D.Y. (2000). Yeasts: Characterization and Identification, 2nd Edn. Cambridge University Press, Cambridge, United Kingdom. 11. Begum, H.; Mohamed, S.; Rao, G.K. and Raj, R.B. (1989). Efficacy of bleaching powder on the incidence of late wilt and grain yield in maize. Indian J. Plant Protection. 17(2): 219-222; 6 ref. 12. Benyagoub, M.; Rhlid, R.B. and Bèlanger, R.R. (1996). Purification and characterization of new fatty acids with antibiotic activity produced by Sporothrix floccu;osa. J. Chem. Ecology 22: 405-413. 13. Bolton, H.Jr. ; Elliott, L.F.; Turco, R.F. and Kennedy, A.C. (1990). Rhizoplane colonization of pea seedlings by Rhizobium leguminosarum and a deleterious root colonizing Pseudomonas sp.and effects on plant growth. Plant soil 123: 121-124. 14. Bric, J.M. ; Bostock, R.M. and Silverstone, S.E. (1991). Rapid in situ assay for indolacetic acid production by bacteria immobilized on a nitrocellulose membrane. Appl. Environ. Microbiol. 57: 535-538. 15. Carling, D.E. ; Leiner, R.H. and Kebler, K.M. (1987). Characterization of a new antastomosis group (AG-9) of Rhizoctonia solani. Phytopathol.77: 1609- 1612. 16. Chaube, H. and Singh, U. (1991). "Plant Disease Management Principles and Practices". CRC Press, Florida, USA. 17. Chen, W.; Hoitink, H. A. J.; Schmittenner, A. F. and Tuovinen, O. H. (1988b) The role of microbial activity in suppression of damping-off caused by Pythium ultimum. Phytopathol. 78: 314-322.
ultimum, a causal agent of damping-off. Phytopathol. 82: 131-135. 19. Dubey, S.C. (1998). Evaluation of fungal antagonists of Thanatephorus cucumeris causing web blight of Horsergam. J. Mycol. Pl. Pathol. 28(1): 15-18. 20. Elad, Y.; Kohl, J. and Fokkama, N.J. (1994). Control of infection and sporulation of Botrytis cinerea on bean and tomato by saprophytic yeasts. Phytopathol. 84: 1193-1200. 21. El-Mehalawy, A.A. (1999). Biocontrol of soil-borne plant pathogens by Trichoderma viride. The 9th International conference: Environmental protection is a must. 22. El-Mehalawy, A.A. (2004). The rhizosphere yeast fungi as biocontrol agents for wilt disease of kidney bean caused by Fusarium oxysporum. International J. Agri. Biol. 6(2): 310-316. 23. Ghisalberti, E.L. and Sivasithamparam, K. (1991). Antifungal antibiotics produced by Trichoderma spp. Soil Biol. Biochem. 23(11): 1011-1020. 24. Gordon, S.A. and Weber, R.P. (1951). Colorimetric estimation of indolacetic acid. Plant Physiol. 26: 192-195. 25. Hanson, L.E. (2000). 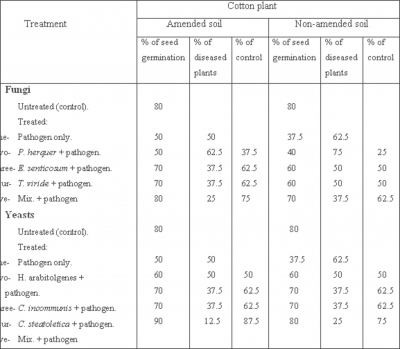 Reduction of Verticillium with symptoms in cotton following seed treatment with Trichoderma virens. The Journal of Cotton Science 4: 224-231. 26. Haran, S.; Schickler, H.; Oppenheim, A. and Chet, I. (1995). New components of the chinolytic systems of T. harzianum. Mycol. Res. 99: 441-446. 27. Henis, Y. and Inbar, M. (1968). Effect of Bacillus subtilis on sclerotium formation by Rhizoctonia solani. Phytopathol. 58: 933- 938. 28. Hodgson, V.J. ; Button, D. and Walker, G.M. (1995). Anti-Candida activity of a novel killer toxin from yeast Williopsis markii. Microbiol. 141:2003-2112. 30. Johnson, L.F. and Curl, E.A. (1972). "Methods for Research on the Ecology of Soil-Borne Plant Pathogen:. Burgess Publishing Company, Minneapolis, USA. 31. Katznelson, H.; Peterson, E.A. and Rouatt, J.W. (1962). Phosphate-dissolving microorganisms on seed and in root zone of plants. Can. J. Bot. 40(9): 1181- 1186. 32. Kleifield, O. and Chet, I. (1992). Trichoderma harzianum-interaction with plants and effect on growth response. Plant and Soil 144: 267-272. 33. Kloepper, J.W. ; Zablotowicz, R.M. ; Tipping, E.M. and Lifshitz, R. (1992). Plant growth promotion mediated by bacterial rhizosphere colonizers. Beltsville symposia in Agriculture Research 14: 315-326; 44 ref. 34. Kreger-van Rij, N.W. (1984). The yeasts: a taxonomic study, 3rd edn. Amsterdam: Elsevier Science Publications. 35. Leath, K.T. ; Lukezic, F.L. ; Pennypacker, B.W. ; Kindall, W.A. ; Lovine, R.G. and Hill, R.R. (1989). Interaction of Fusarium ovenaceum and Pseudomonas viridiflava in root rot of red clover. Phytopathol. 79: 436-440. 36. Lewis, J.A. and Papavizas, G.C. (1987). Application of Tichoderma and Gliocladium in alginate pellets for control of Rhizoctonia damping-off. Plant pathol. 36: 438-446. 37. Lewis, J.A. ; Larkin, R.P. and Rogers, D.L. (1998). A formulation of Tichoderma and Gliocladium to reduce Damping-off caused by Rhizoctonia solani and saprophytic growth of the pathogen in soiless Mix. Plant Disease 82(5): 501- 506. 38. Lodder, J. (Ed.) (1970). The yeasts: North Holand Publishing Company, Amsterdam. 39. Lumsden, R.D. and Locke, J.C. (1989). Biological control of damping-off caused by Pythium ultimum and Rhizoctonia solani with Gliocladium virens in soiless mix. Phytopathol. 79: 361-366. 40. Papavizas, G.C. (1985). Trichoderma and Gliocladium biology, ecolgy and potential for biocontrol. Annu. Rev. Phytopathol. 23: 23-54. 41. Pitt, J.I. (1979). The genus Penicillium and its teleomorphic states Eupenicillium and Talaromyces. Academic Press, New York. 42. Pridham, T.G. ; Lindenfelser, L.A.; Shotwell, O.l. ; Stodola, F.H. Benedict, R.G. and Jackson, R.W. (1956II). Antibiotics against plant disease. II. Effective agents produced by Streptomyces cinnamoneus for Azacoluta f.nov. Phytopathol. 46: 575-581. 43. Raper, K.B. and Thom, C. (1949). A manual of the "penicillia" Williams and Wilkins, Baltimore, USA. 44. Roiger, D.J. and Jeffers, S.N. (1991). 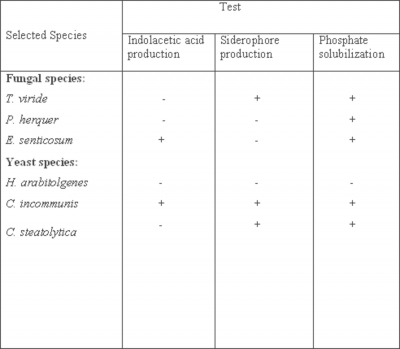 Evaluation of Trichoderma spp. for biological control of Phytophthora crown and root rot of apple seedlings. Phytopathol. 81: 910-917. 45. Schnürer, J. and Rosswell, T. (1982). Fluorescein diacetate hydrolsis as a measure of total microbial activity in soil and litter. Appl. Environ. Microbiol. 43: 1256-1261. 46. Singh, S.D. and Siradhana, B.S. (1986). Effect of internode inoculation on the spread of late wilt disease of maize induced by Cephalosporium maydis. Indian J. Mycol. And Plant Pathol. 16(2): 160-161, 7 ref. 47. Sivan, A. and Chet, I. (1993). Integrated control of Fusarium crown and root rot of tomato with T. harzianum in combination with methylbromide or soil solarization. Crop Prot. 12: 380-386. 48. Skinner, F.A. ; Passmore, S.M. and Davenport, R.R. (eds.) (1980). Biology and activities of yeasts. Academic Press, New York. 49. Sundheim, L. (1984). Ampelomyces quisqalis, a hyperparasitic fungus in biological control of powdery mildews on greenhouse cucumber.Acta Hortic. 156: 229- 236. 50. Urquhart, E.J. ; Menzies, J.G. and Punja, Z.K. (1994). Growth and biological control activity of Tilletiopsis species against powdery mildew (Sphaerotheca fulginea) on greenhouse cucumber. Phytopathol. 84: 341-351. 51. Wickerham, L.J. (1951). Taxonomy of yeasts. Tech. Bull. No. 1029, Us Dept. Agric. Washington, D.C.
52. Wong, D.H.; Barbetti, M.J. and Sivasithamparam, K. (1984). 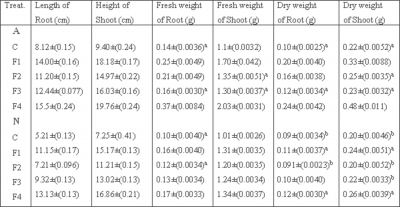 Effects of soil temperature and moistute on the pathogenicity of fungi associated with root rot of subterranean clover. Australian Journal of Agri. Res.35: 675-684.